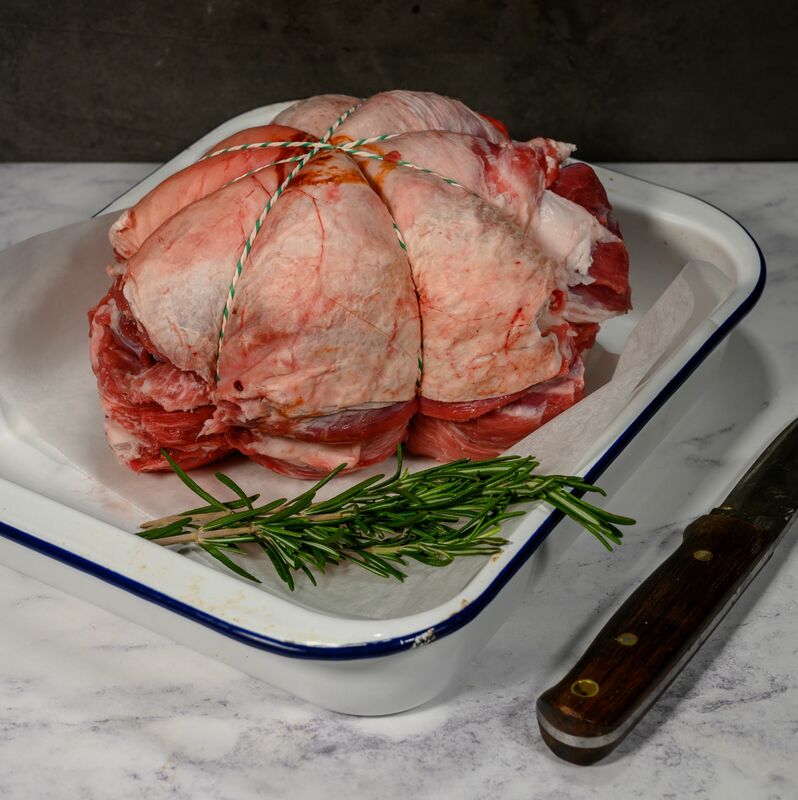 Our organic lamb cushion is a wonderful boneless shoulder cut full of flavour and makes the most beautiful roasting joint. Directly from our working farm in the shadow on Pendle Hill from our flock of rare-breed organic sheep, home reared and finished in our species-rich meadows. Our organic sheep are a happy mixed bunch but our main flock are the Hampshire Downs, a breed that produce a strong lamb which in early spring are up and doing well whatever the weather, a great and versatile breed. This organic lamb cushion is nice and easy to stuff, cook and of course, cut. It is clear to see this organic shoulder cut will not disappoint those hungry at the dinner table. A succulent meat with mouth watering tenderness, now who does not like the sound of that? Our well experienced butchers in our organic farm shop happily roll and prepare your lamb cushion nice and fresh for next day delivery depending on the time as well as day you place your order. Let the slow cooker do the rest of the work with this stunning cut and take a look at the delicious results. As well as leaving your guests wanting seconds, this organic lamb cushion is easy on the wallet too, don’t forget we also offer free delivery on all orders over £20 – enjoy!